Why should you invest business resources in web and mobile application development? Business development goes hand-in-hand with development in the digital world. The opportunities that Internet provides for companies are unlimited. Common markets, easy communication, databases, servers, outsourced services – modern companies are nothing like businesses 10 years ago – and adaptation is a must. Business owners are already aware of the imminent need to invest in web and mobile application development. The potential benefits of web and mobile application development are numerous. Here are some of the most important advantages of investing in web and mobile application development that we have seen from working with companies. Accessibility One of the biggest advantages of web and mobile application development is the possibility to reach users around the world. The Internet is an immense source of potential customers for almost every business. Web and mobile application development allows you to create your own website or mobile application to promote your brand and give you the opportunity for new business relationships. Even if your work is not directly related to the online space, the application will open new horizons for you. Research shows that 7/10 of users search for preliminary information about a business before buying goods or using their services. This fact says a lot about the mandatory investment in web and mobile application development. More profit Last year, many renowned companies announced that their Internet revenues exceeded those of their physical stores. E-commerce is in its prime, as well as many other digital services. Web and mobile application development allows any business to increase its revenue from digital sales of goods or services. And because every competitor knows that online presence is important, the secret is that your presence is user friendly and easier to find. Efficiency Many companies around the world invest in web and mobile application development in order to improve the work process for customers and employees. Web and mobile application development enables you to build personalized websites, mobile applications or customized software to meet the specific needs of a particular business. In this way, web and mobile application development contributes significantly to the work efficiency of most companies and reduces the cost of various labor intensive activities previously performed by employees. Easy maintenance Every professional company that offers web and mobile application development services ensures the maintenance of their products after their implementation. In this way, business owners do not have to focus on dealing with problems on their websites and / or mobile applications (and problems inevitably arise), but will be able to focus on other important aspects of their business and leaving tech problems in well-qualified hands. Branding Today, any company that wants to establish a brand or maintain an existing brand cannot do so without presence on the Internet. The investment in web and mobile application development will greatly help in developing your company and brand, as well as in promoting them. We all know that the Internet is a vast world where there are countless competitors, but with good branding and professional web and mobile application development services, your company will definitely be able to stand out in the competitive environment and grab the attention of potential future customers. In practice, it has been proven that web and mobile application development creates security for your customers and puts your brand in a far better light. How, you ask? A customized website that targets your current and potential customers is an excellent way to demonstrate that your company puts the customer first. The same applies to a customized mobile application that makes it easier for customers and / or employees to work. The possibilities of web and mobile application development are really unlimited, especially if you have ideas and use the services of a professional IT agency. Low costs The initial investment in web and mobile application development may seem great at first glance, but over time you will see that this is one of the best things you’ve done. 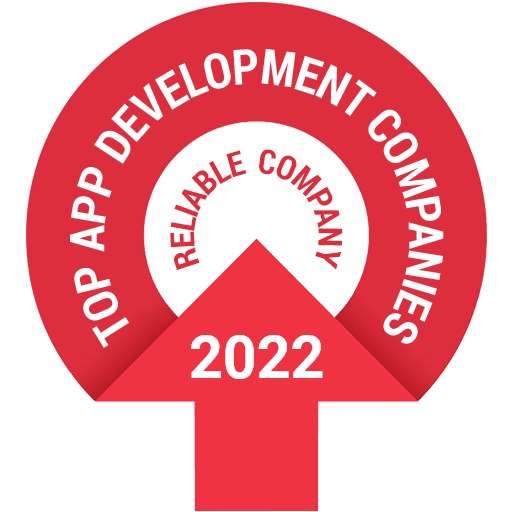 Many of the companies that have invested in web and mobile application development realize that after the first year, their money has already returned, either through increased sales or reduced costs, through the digital capabilities of web and mobile application development. Better feedback Web and mobile application development allow quick and easy communication between you and your customers. Your users can use the contacts on your website and write to you 24/7. Separately, many companies develop their own support system, depending on the needs they have. We all know that good customer-company feedback is a prerequisite for long-term relationships and increased customer base. Zibtek is an IT company that uses the services of specialists from around the world, thus significantly reducing the cost of its services. To facilitate the relationship between our clients and programmers, Zibtek has based its project managers in the USA. If you have decided that your business needs web and mobile application development, you have come to the right place. Call us now and we will create a customized website, mobile application or software for you according to your wishes and requirements. Take advantage of the unlimited possibilities of web and mobile application development, increase revenue, ease the workflow and promote your brand!